Hooray! Shostakovich Symphony no.10 wins Gramophone Awards! 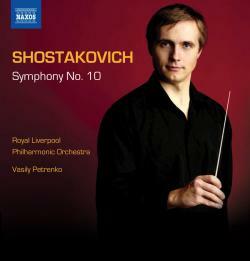 BREAKING NEWS:- It has just been announced that The Royal Liverpool Philharmonic Orchestra’s recording of Shostakovich Symphony no.10 has won the best orchestra recording for the second time in three years. Watch RLPO Principal Percussionist Graham Johns at the 2011 Gramophone Classical Music Awards Ceremony accepting the Orchestral Award from Susan Bullock and James Jolly. Graham was there on behalf of Vasily Petrenko and had to speak following Dame Janet Baker, Sir David Attenborough and Sir Peter Hall… rather nervy! For more information you can visit the above link to Gramophone UK for the full review. To purchase your own copy visit the Naxos link above. The link to the Royal Liverpool Philharmonic has all the recent news regarding the orchestra. Coincidentally, we have just released our latest recording. Click here to read the Financial Times review of Vasily Petrenko and the Royal Liverpool Philharmonic Orchestra playing Shostakovich’s symphonies 6 & 9. 2 Responses to Hooray! Shostakovich Symphony no.10 wins Gramophone Awards!